First American Walk-in Recruitment 2017-2018 for Various Accounts Executive/Accountant Posts, Jobs Application Form Download at (www.firstam.co.in). The Interested candidates will have to before Walk in Interview carefully reading the advertisement regarding the process of examinations and interview, Qualification, Offline registration processes, payment of prescribed application fee/intimation charges Walk in Date, Time, Venue etc are Given Below. First American Walk-in Accounts Executive/Accountant in Bangalore - Apply Now. First American (India) provides unparalleled support for the preparation and delivery of mortgage documents and processing services for residential and commercial loan programs. With locations in Bangalore, Bangalore and Salem, First American (India) delivers quality software development, back-office and knowledge-processing operations to support a broad mix of services for First American"s operations in the United States and its international offices in the United Kingdom and Canada. Established in 1994, First American (India) is a vibrant and growing organization and a proud member of the First American Financial Corporation (NYSE: FAF) family of companies-one of America"s 1,000 largest companies. 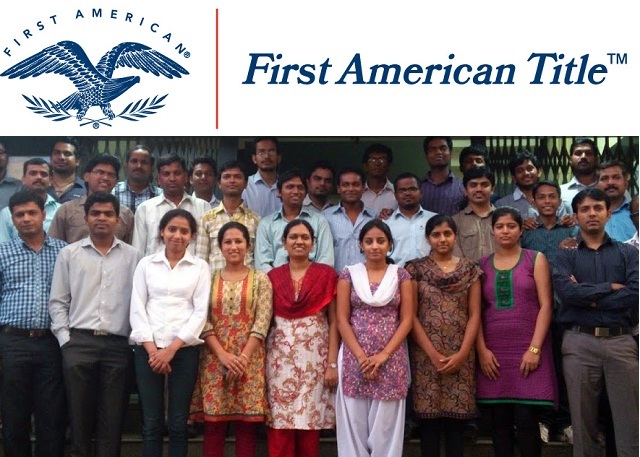 This position will be a part of the core accounting team responsible for providing support to First American India. Experience in Indian accounting standards is desirable. Looking for people who are flexible to work in shifts. Experience in P2P/Invoice processing/Payments/employee reimbursement/T& E.
Oracle working knowledge will be added advantage. Knowledge of Indian tax structure will be an advantage ( like TDS, GST, Payroll tax, etc). Strong Communication Skills to interact with various functions within the organization. Disciplined with focused & result oriented approach. Auditing mindset with eye for detail. Learning mindset and willing to go extra mile to achieve organizational objectives. Can Work under stringent deadlines with high accuracy. Old Madras Road, Indira Nagar, Bangalore - 560038."